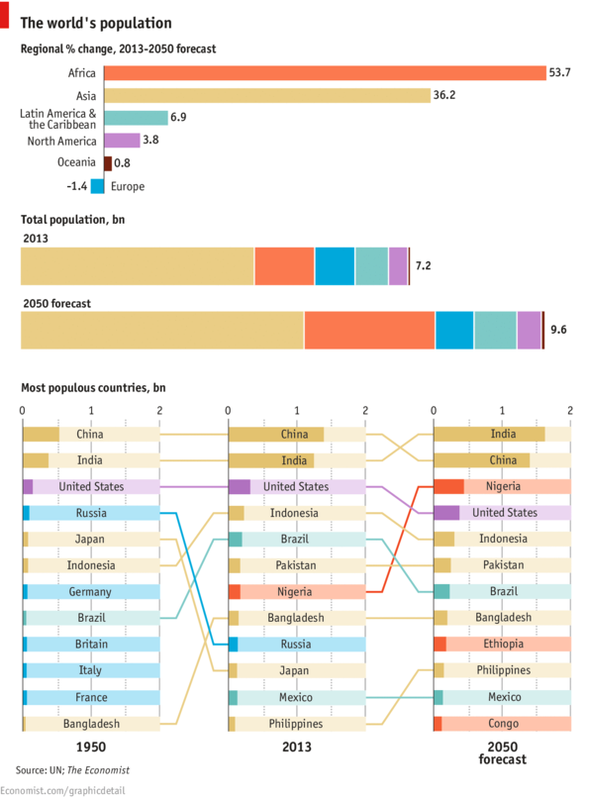 This is a projection from The Economist and it suggests that the world’s population is going to increase from a figure of 7.2 billion to 9.6 billion. When you look at the first graph what is striking is the fact that all populations seem to be increasing dramatically except Europe. I also read this article last week on Quartz that stated 1 in 5 African’s by 2050 will be Nigerian. Have a look.